The camerawoman zooms in on the photo, the lens of the camera lingering on the image. After a moment, the camerawoman reaches out and touches it and Kyla copies her, tracing the outline of her mother’s face and the straight line of her raised arm. ‘She will be in our thoughts always,’ whispers the camerawoman. When celebrity singer Carmen Crane passes away, her only daughter inherits a reality TV show. As Kyla Crane adjusts to this new scrutiny, strange things start to happen: the house is rearranged overnight, unknown characters appear, the show’s narrative loses its way, and the camera crew begin to echo events. When fragments of her mother’s past surface, Kyla is compelled to scroll through the footage and come to her own conclusions about life in the public eye and her ambiguous inheritance. 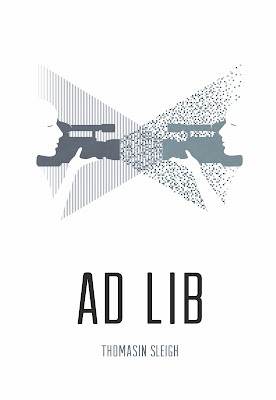 Ad Lib is Thomasin Sleigh’s debut novel. The novel expands on her previous writing about art through its focus on images and visual culture. She regularly contributes to Lumière Reader, and has written about art for many publications and galleries in Australasia.